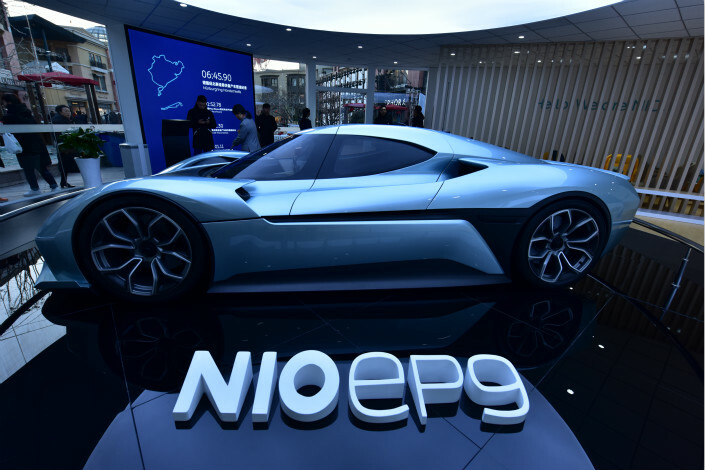 Nio, a homegrown electric car startup backed by internet giant Tencent, is preparing to raise up to $2 billion through a New York initial public offering (IPO) by year end, a knowledgeable source told Caixin, as it prepares to roll out its first model in the next few months. The company is hiring 10 investment banks to underwrite the offering, which could become the largest by a Chinese firm among a recent wave of similar companies seeking U.S. listings this year, said the source with direct knowledge of the deal, speaking on condition of anonymity because the matter is not public. 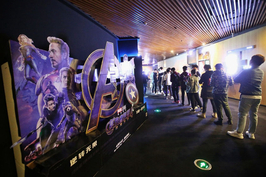 The listing would come about a year after Nio’s last fund-raising, which generated $1.1 billion in a round led by Tencent Holdings Ltd., the source said. Reports at that time said the fund-raising valued the company, previously known as NextEV at about $5 billion. 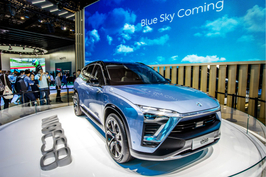 Unlike most of China’s new-energy car-makers such as BYD and BAIC, which are extensions of traditional gas-powered vehicle manufacturers, Nio is a pure-play electric car-maker, similar to U.S. superstar Tesla Inc. But whereas most of Tesla’s models are currently aimed at the high-end market, Nio’s models are aimed at a more mainstream segment. The company unveiled its first model for mass-production at the end of last year, the seven-seat Nio ES8, which boasts a 70 kilowatt-hour battery pack that allows a driving range of 355 km (221 miles). It said the model would go on sale in the first half of this year, costing 448,000 yuan ($71,000). By comparison, Tesla’s popular Model X sells for nearly twice that amount, at 836,000 yuan. Founded around three years ago by internet entrepreneur William Li, Nio’s backers include not only Tencent, but also internet powerhouses Baidu Inc. and e-commerce retailer JD.com Inc., as well as venture capital majors Hillhouse Capital Group and Sequoia Capital China. Unlike Tesla, whose users rely on charging stations, Nio has adopted a battery swap system that will enable owners to swap their vehicles’ battery packs for fully charged packs in about three minutes at stations around the country. Nio plans to set up 1,100 such power-swap stations by 2020. Nio’s car launch and IPO come as Tesla is also pursuing its own plans to build an electric vehicle manufacturing plant in China. 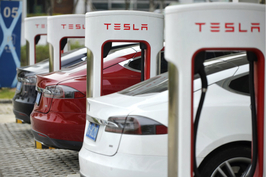 In October, China’s Ministry of Commerce confirmed that Tesla was negotiating with the Shanghai government to build a production facility in the country. Nio’s IPO would also come as 2018 shapes up to be a banner year for listings by Chinese companies in the U.S. More than half a dozen such companies have already filed for New York offerings since the start of the year, including the largest so far by online video site iQiyi, which is looking to raise up to $1.5 billion. Most of the companies now eyeing New York are looking offshore due to long waiting lines and a stricter review process for listings on China’s domestic stock markets. 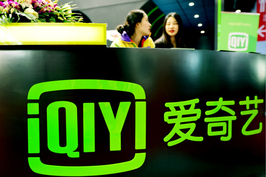 But the Chinese regulator is studying a plan that would allow many such offshore-traded firms to make secondary listings at home using China Depositary Receipts, sources have told Caixin.